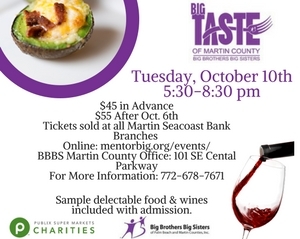 Martin County’s 19th annual fundraiser, “Ports of Call” welcomed a group of 130 community members to an evening of celebration at the Frances Langford Pavilion at Indian RiverSide Park in Jensen Beach. The Pay It Forward issue includes our charity datebook, interviews with 12 local chairmen and chairwomen, an inside look at the boating industry and more. St. Lucie Battery and Tire welcomed clients, friends and local businesspeople to the ribbon cutting at its 14th location on U.S. Highway 1 in Port St. Lucie. About Us: The award-winning Stuart Magazine is part of the Gulfstream Media Group publishing house, which has for 50 years led South Florida's magazine industry. 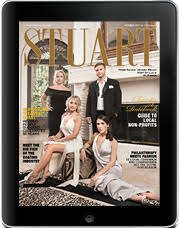 One of six lifestyle magazines and an online design brand, Stuart Magazine brings readers the very best of South Florida. Find us online at stuartmagazine.com.